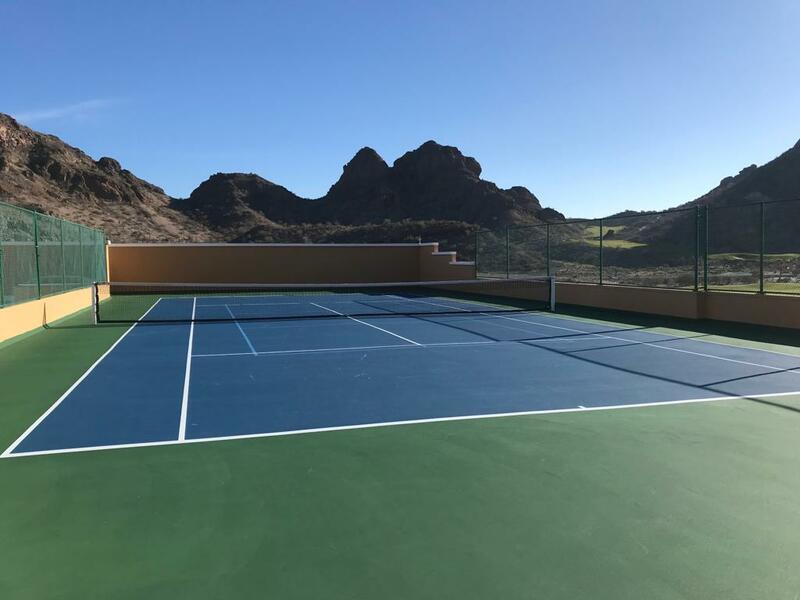 Villa del Palmar at the Islands of Loreto is proud to announce the addition of our new Pickle Ball Courts to our property to further enhance your vacation experience with us. The Pickle Ball Courts are located above the spa and are open daily from 9 am to 6 pm. Members and guests are asked to please check-in with the receptionist at the Desert Spa prior to playing to ensure that there is court availability. You can bring your own equipment and play for free or rent a racquet and ball for $7 per person per day from the reception area at the spa. Below is a photo of the new pickleball courts. 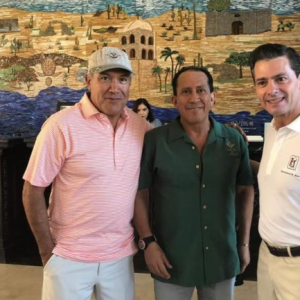 We look forward to welcoming you to Villa del Palmar at the Islands of Loreto to experience our new Pickle Ball Courts and to provide you with an extraordinary vacation experience. 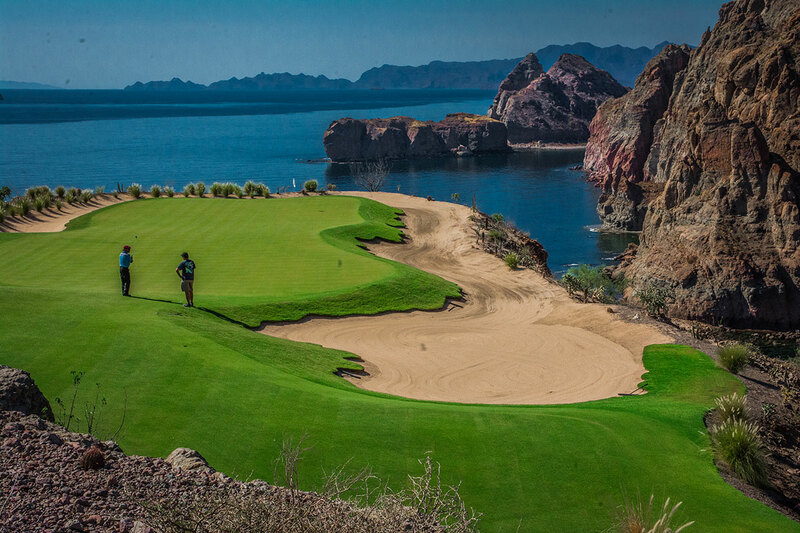 TPC Danzante Bay: Mexico’s new must-play course that takes players through a variety of settings, including valleys, arroyos, foothills, and dunes, with holes featuring stunning views of the Sea of Cortez, the majestic Sierra de la Giganta mountain range, the Danzante Bay and the surrounding Islands of Loreto. Open daily from 7:00 am-5:00 pm. Twilight rounds begin at 2:00 pm. Our Bartending, Wine Tasting, and Tequila Tasting events teach members and guests how to make signature drinks and perfect their own mixology so they can share their talents with family and friends. 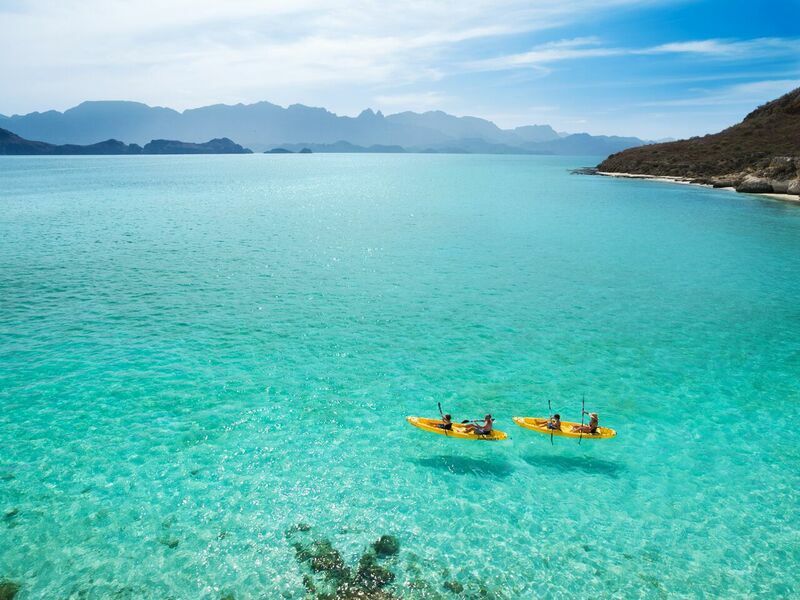 Aqua Aerobics, Paddleboarding, Snorkeling, and Kayaking provide members and guests with an adrenaline rush while exploring the surrounding beauty near and on the resort. 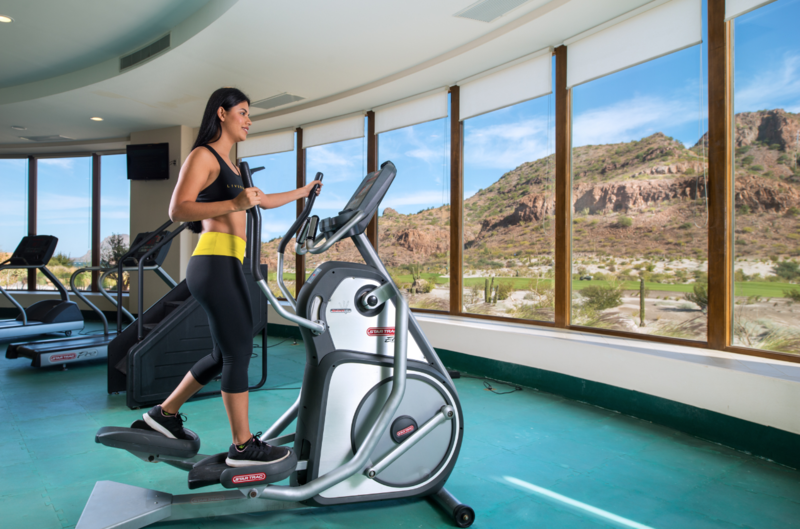 Gym and Fitness Classes keep members and guests on track with their fitness goals while on vacation. Break a sweat in our gym or enjoy a fun fitness class such as Zumba to get your daily workout. The Fitness Center is open daily from 7 am to 6 pm. 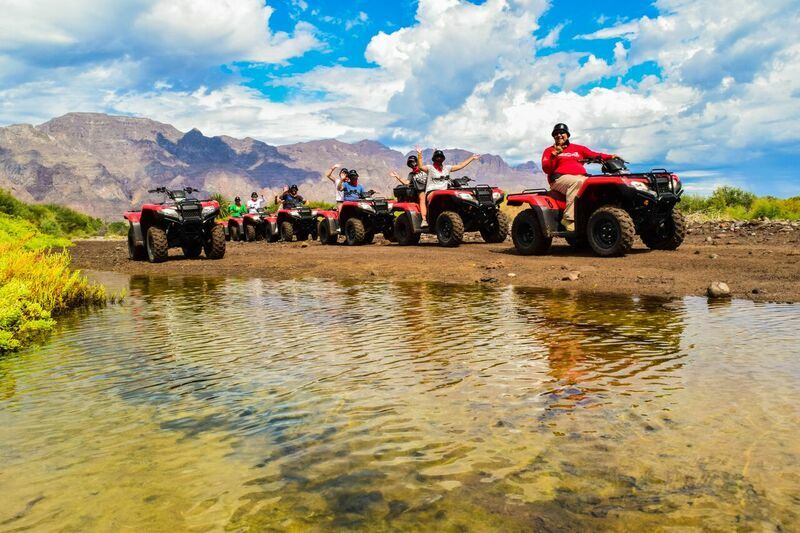 Danzante Tours: Embark on an ATV expedition, Island Tour, Whale Watching trip, or more, all of which can be booked onsite in the lobby with Danzante Tours or prior to arrival by calling Member Services at 800-852-4755. 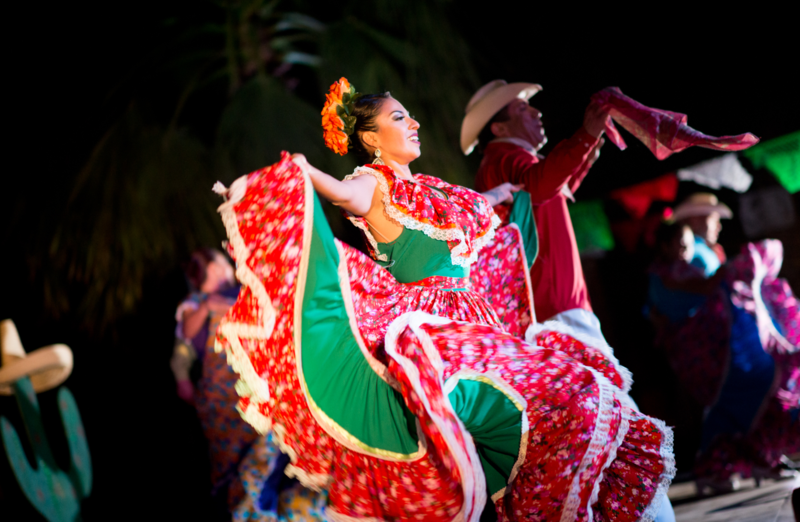 Entertainment Shows feature acts such as Mayan Rituals, dancing, juggling, etc. 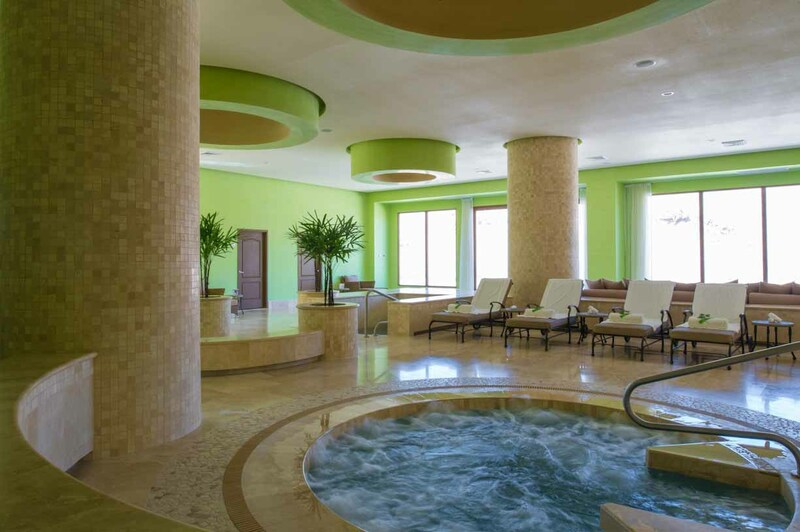 The Sabila Spa has been named as one of Spa Finder’s Best Spas in Mexico and “one of the most fascinating spa resorts in the world” by Vacation Idea. Come experience an atmosphere of pure tranquility by booking a massage, body wrap, facial, or beauty service during your next vacation. The Sabila Spa is open daily from 9 am to 6 pm. 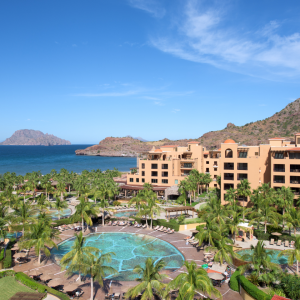 Hiking trails boasting golf course views are located on the property and you can choose from three different trails to take in the beauty of the Islands of Loreto. 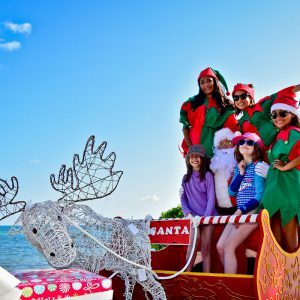 Kids in Paradise is our Kids Activities Club that features a variety of activities such as crafts, water games, and nature walks for children ages 5-12 years old. Activities occur from 9:30 am to 5:00 pm daily. 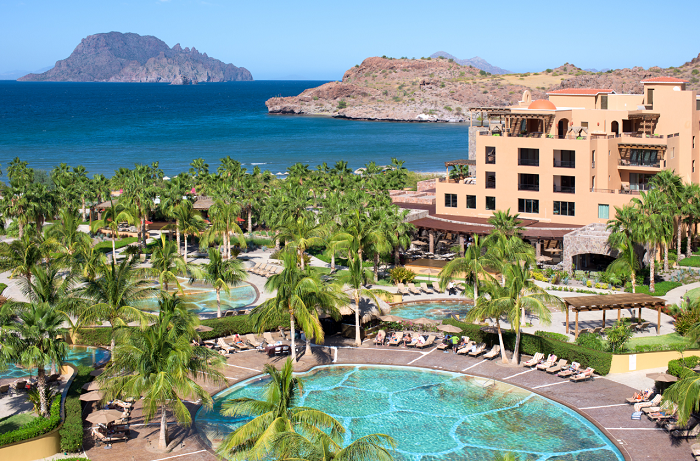 Villa del Palmar at the Islands of Loreto is within a short distance to countless activities. Lounge to your heart’s content, explore the area or embark on an expedition. Ask your concierge for more information. Do you have any pools deep enough for swimming yet? When we were there soon after opening, there were only shallow “walking” pools, and the ocean beach was shallow with Ray warnings posted everywhere. Thank you for reading our blog and submitting your inquiry. The area is a part of a natural marine park so unfortunately we are not allowed to remove anything. We appreciate your feedback and have shared your comments with management.